Be it date night, your friend's hen's night party, or plainly a calling to "treat yo'self" - there's always a legitimate excuse to click that "CHECKOUT" button on all the items you've been hoarding in your online shopping cart. To add on to the sale furore, ASOS is giving out a storewide discount of 20% - for all shoppers who pay with their DBS/POSB Mastercard® Cards from 23 July - 31 August 2018. In the meantime, we've rounded up some looks from their inventory of over 85,000 products to give you some outfit inspiration this season. 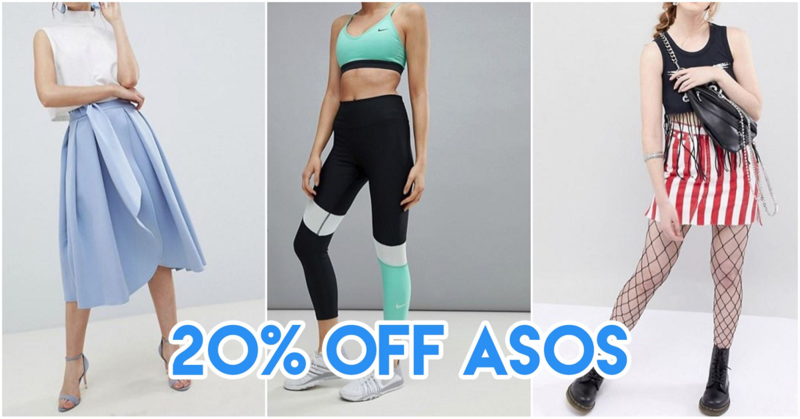 Up your workout game with ASOS 4505 - ASOS’ very own activewear range - and stand out at your next CrossFit session with their fashion-forward statement yet affordable sports gear. You’ll find everything from antibacterial leggings and moisture-wicking training t-shirts to backpacks and running belts. And if you’re looking for a new pair of kicks, their expansive collection of trainers puts your Adidas NMDs and Asics running shoes all in one place for you to do all your shopping at once. Go beyond your brick and mortar stored and take your search for the perfect wedding outfit in ASOS’ curated list of wedding-appropriate items. They’ve got day dresses, formal gowns, heels, hair accessories and even bridal lingerie. There’s even a separate section for bridesmaid outfits with a gorgeous selection of pastel and neutral shades to compliment any wedding gown. 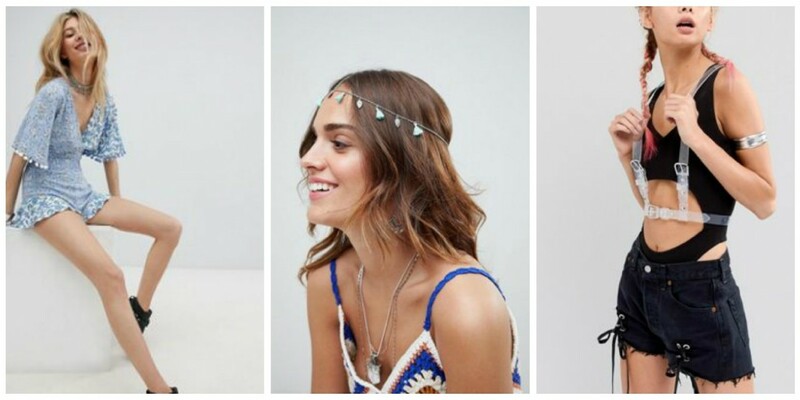 The ASOS festival shop makes putting together a wicked outfit for your next major gig as easy as pie. With everything from biodegradable glitter and show-stopping co-ords to face wipes and water bottles, so you’ll find a bunch of stuff you didn’t even know you needed to finesse your festival season. Getting that effortless island-chic look doesn't require a plane ticket to Bali or the Maldives. All you need are a couple of essentials: a straw boater, a trusty pair of pair of espadrilles, tassel earrings, and a standout bag. Whether it’s wicker, rattan, or straw - as long as it's woven, it'll scream VACAY. We’d pair it with a linen jumpsuit or a free-flowing maxi dress. For more island inspiration, check out ASOS’ Holiday edit here. It’s only when one’s belly is burgeoning do you you realise just how limited - and frumpy - the reality of maternity fashion really is. Thankfully, ASOS’ range of maternity and nursing wear will keep your preggo self stylish for those 9 full months and more. If you've been waiting for the best moment to treat yourself, this is most definitely it. Simply check out with your DBS/POSB Mastercard® Card using the promo code MCPICK to score 20% off all full-priced items at ASOS from 23 July - 31 August 2018. T&Cs: Promo Code is valid for single use per Cardmember. Discount is capped at £500. Valid for orders delivered to Singapore only. 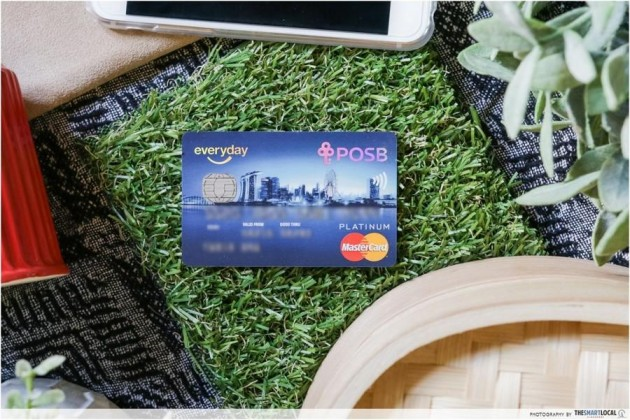 Payment must be made with DBS/POSB MasterCard Cards only. Find out more about DBS’ ASOS promotion here!